Vatsal Thakkar, a psychiatrist, recently wrote of the perks doctors are afforded in everyone’s favorite instrument of social justice – the New York Times. Dr. Thakkar speaks effectively and correctly about a broken health care system navigated best by pulling the ‘doctor’ card. Some on the progressive left have seized on this blatant disregard for egalitarianism as yet another example of a broken healthcare system, despite the fact that a two tiered system is exactly what they have been building over the last eight years. To be clear, there has always been special treatment accorded fellow doctors and nurses – it has just become more obvious as the gulf between the haves and the have nots in health care has grown. Make no mistake – this is absolutely a function of multiple strategies that have created winners and losers in the healthcare space. The problem, of course, is that patients and physicians have ended up on the losing side of this equation. In an effort to reign in costs, the federal government decided long ago that it was easiest go after the neighborhood private practice physicians that were practicing in that dastardly fee for service construct. Being a small practice neighborhood physician has never been easy – it requires a special commitment to be available for your patients on a constant basis day, and night. The financial rewards were considerable, though I would argue on a per hour basis these physicians were paid at a level more consistent with electricians than hedge fund managers. As regulatory burdens increased, the amount of time spent performing non-revenue generating tasks like prior authorization reviews began to cut into physician incomes. It started to make less and less sense to be on call for patients for 360 days of the year, and doctors began to turn to lower paying, but safer and more convenient hospital paying jobs. While this made physicians unhappy, the real burden was borne by patients. Instead of having a direct line to a doctor who knew you well, who would see you the same day or next day for an emergency, and then follow you into the hospital to direct your care – now you had to speak to a covering physician who didn’t know you, wasn’t invested in you, and was quick to direct you to the emergency room and hospital where yet another team of uninvested emergency medicine and hospitalist shift workers lay in wait. Not content with the Comcast level consumer service that had now been implemented, bureaucrats next decided to curtail costs by shifting costs to consumers in the form of high deductibles and premiums in the the hope that the patient would exert downward pressure on health care costs. That has not happened. As Propublica reporter Charles Ornstein found out when he needed antibiotics for his son, or as journalist Steven Brill discovered when he needed emergent cardiac surgery, patients are in a poor position to negotiate prices for health care when they need it most. In this world where risks and cost are now more than ever the patient’s to bear, is it any surprise that those with money, or influence would exert whatever levers under their control to navigate this system? The solution from some is to no doubt provide ever more, ever better regulations, or work harder to deliver us universal health care. The inconvenient truth the control oriented free-lunch-for-all universal healthcare proponents won’t tell you is that cost controls in this system come via rationing. One of the indignities Dr. Thakkar speaks about in his piece is having to endure 6 weeks of back pain before insurance would approve a back MRI. In 2010, the average wait time for an MRI in that health system beyond compare, Canada, was up to ~12 months. There is even a helpful website you can visit that will let you know how long you can expect to wait for cancer surgery, cardiac surgery or other imaging studies. A better solution to the current system plagued by physicians who answer first to hospital systems, insurance companies, pharmaceutical companies and regulators would be to restore the primacy of the individual beholden only to the patient: the independent physician. Excellent point- I erred in not being more nuanced. I object to high deductible plans with no attention to the unit cost of healthcare widgets. I am in favor of a model of high deductible plans, IF they are combined with reasonable options that work.. In this case, I’m thinking about direct primary care. DPC physicians routinely, for instance, are able to offer basic labwork at sig. lower prices. Having a high deductible plan, and then having to pay $600 for a chem7 at a hospital outpatient lab…is not a solution. Note, they did find that those enrolled cut back on preventive care…something that can be addressed in plan design. However, as Nortin Hadler has well documented, much of the suggested preventive care is useless and often harmful. With the exception of vaccinations, I don’t know of any preventative care that need be supplied by the physician’s office at this time. Many consider early diagnosis (mammogram) as preventative care, but as we have learned of late their benefits are not clear cut. Single payer can only survive based upon rationing for our medical desires can exceed the GDP. High deductible insurance is a very efficient mechanism and preferable (helpful subsidies are always an option). We need patient involvement to keep costs down and to push the system in the right direction. Anish- Well written article. Agreed. “Rage rage against the dying of the light.” We need to stop following the rules. As another commented “MDs… have no mechanism that allows for contributing to any change.” That is unacceptable. I believe it will require civil disobedience on the part of independent physicians to bring about change. We must band together and as always I like Dr. Palmers many ideas below … Thank you for the battle call to restore what once was, a physicians and his or her patient. Agreed. There are physicians that are spoken to in making policy. It must be that they are n’t speaking to the Dr. Al-Agba’s of the world in formulating policy? The under-represented voice is really the busy clinical physician – and our lack of voice in this debate is a large part of the problem. If the loudest voices are only from the MD-MBA’s who have only dabbled in actually taking care of patients end-to-end, there is little surprise this is where we have ended up. I still do not understand why they are not speaking to the Dr. Koka’s and Dr. Al-Agba’s of the world to formulate policies! It does seem like a no-brainer… we are an under-represented voice and I am glad to see we are speaking loud and clear, quite often in fact 🙂 Keep up the good work! Because policy can only be made if you’ve gone to a school of public health. Listen to the policy makers on dan diamond’s pulse check – it is remarkable how far these folks are from the actual pulse of physicians/patients. Very true – but there is nothing the nytimes loves more than the self-flagellating doctor who highlights how broken the system is. And couldn’t agree more about the fools goal of trying to assure everyone has equal access or privilege. Health care, however, apparently falls under the canopy of a mercedes for everyone. We would be better served in health care policy if we left behind the foolish notion that everyone can have everything. Happy doctors make happy patients. With apologies for the continued strong tone: MDs and patients have little to nothing to do with our health care system. Can anyone seriously argue otherwise? Which calls to mind the Lown Institute’s good-by-half effort at a quality revolution for medicine. They nail the quality but give no attention to the revolutionary component. Presumably so as not to upset the overseers, I say not facetiously. Lown needs to hire a couple of bullies for his institute. I can’t argue with you there. Which is why I would recommend a Drexit and a Paxit from this system. See Dr. Palmer’s post below. I would disagree with the idea that we can’t do anything. This discussion would not have been possible 10 years ago. Social media can be a powerful agent for change, good or bad. 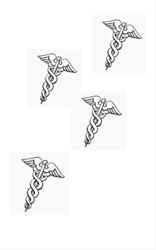 At the very least – we physicians can vote, the AMA made 260 million in 2014…the tools to effect change are there. We, as physicians, have been lousy at advocating for this. Social media hopefully lowers the barrier. We can also vote.. There is no starker contrast at the moment when it comes to health care. What does the AMA have to do with physicians in the trenches? One should ask themselves how did the AMA make that money? Anish, we all feel like this but the train left the station about in the summer of 1982. Sorry. The problem is that there are so many stakeholders now who are eating. We can’t get the system changed until we have funerals. Do not go gentle into that good night.. Rage, rage against the dying of the light.